An industrial coating is a paint or coating defined by its protective, rather than its aesthetic properties, although it can provide both. The most common use of industrial coatings is for corrosion control of steel structures such as offshore platforms, bridges and underground pipelines. 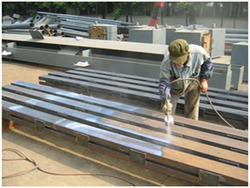 Other functions include in tumescent coatings for fire resistance. The most common polymers used in industrial coatings are polyurethane, epoxy and moisture-cure urethane. Another highly common polymer used in industrial coating is a flour polymer. There are many types of industrial coatings including inorganic zinc, phosphate, and Xylem and PVD coatings. When making underground structures using diaphragm walls, leaks can arise at the joints between the diaphragm wall panels. 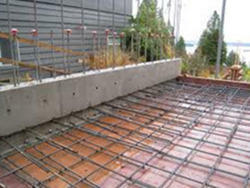 Also in the diaphragm or wall panels themselves, as a result of problems when casting the concrete there may be pockets of gravel that can cause leaks in a construction pit. And after the diaphragm wall is completely excavated and a floor has been cast then there may be leaks at the connection of the floor to the wall as a result of the high water pressure. FRP lining is treated as a significant application in the fiber glass industry because of the vivid application, like leak proofing of roof tops, tank lining in chemical industries, reinforcement/manufacturing of PVC-PP chemical tanks, anti corrosion treatment of metal tanks etc. Using our special grade resins could attain various properties. The high-grade resins that we develop can withstand the impacts of strong acids and high temperature. The same is used in the chemical industries as protective layers for chemical storage. 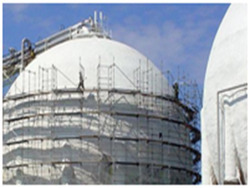 FRP (Fiberglass Reinforced Plastics, also known as GRP, or Glass Reinforced Plastics) is a modern composite material of construction for chemical plant equipment like tanks and vessels [disambiguation needed]. Chemical equipment that range in size from less than a meter to 20 meters are fabricated using FRP as material of construction. A sealant may be viscous material that has little or no flow characteristics and stay where they are applied or thin and runny so as to allow it to penetrate the substrate by means of capillary action. Anaerobic acrylic sealants generally referred to as impregnates are the most desirable as they are required to cure in the absence of air, unlike surface sealants that require air as part of the cure mechanism that changes state to become solid, once applied, and is used to prevent the penetration of air, gas, noise, dust, fire, smoke or liquid from one location through a barrier into another. Typically, sealants are used to close small openings that are difficult to shut with other materials, such as concrete, drywall, etc. Desirable properties of sealants include insolubility, corrosion resistance, and adhesion. Uses of sealants vary widely and sealants are used in many industries, for example, construction, automotive and aerospace industries. In recent past years, the protection of concrete floors has been a essential component especially in Industrial buildings. The main purpose, of course, is to provide protection to the slab from deterioration or contamination, and also not to overlook, to provide some added benefit such as, wear and tear, antiskid, chemical resistance, easy maintenance, physical performance, aesthetics etc. It is quite obvious that no other surface in a building takes more abuse than floors, regardless of the type of building, be it industrial or commercial or public. Floors usually experiences - impact, abrasion, chemical attack, and thermal shock. Concrete floors on its own, are not designed to take this continual abuse though they are considerably form a strong matrix. Cement being the main component of concrete floors, creates dust from wear and abuse. Cement concrete floors are also susceptible to abrasion and chemical attack. These are the very reason why concrete needs appropriate protection regardless of where it's located. The problem, in any given scenario, is to establish an appropriate recommendation of the protective system to suite different areas of application, different situations, different substrate conditions, different industries…. Insulation and sheet metal; design and installation of Hot (Rockwool, Fiberglass, Calcium Silicate), Cold (Foam Glass, Foam Injection) and Acoustic Applications Metal roof too old to restore? 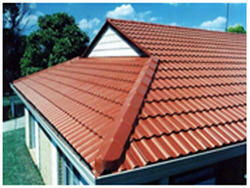 Do you prefer the look of a metal roof? Whatever the reasons be Modern, Metal Roof Replacement is a market leader & specializes in iron roof replacement using only the best. Asbestos Removal & Re-Insulation: Conventional Bubble and Port am (a patented system utilizing a small mobile work head) systems. 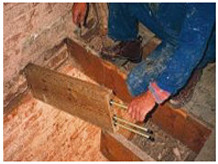 Basements Waterproofing: Many people are having leakage problem in there basement in all types of commercial and housing structures. For this problem we are providing Waterproofing services at market basic charges that in their budget.Chemical Waterproofing is provided to defeat the rough basement living space with humid smell as well as basement leakages. 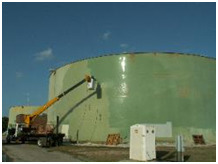 Our expert team provides a complete Chemical Waterproofing System to prevent the water access from base. 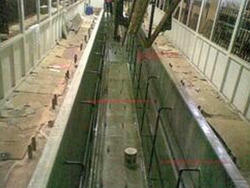 Balconies Waterproofing: Due to rain water the opened balconies are affected by leakages and cracks. That furnishes humidity problems in inside home or flat. Bearing in mind the exact requirements of customers we Provides best and permanent results. Terrace Waterproofing: We have experience in outstanding waterproofing solutions for Terrace that completely matches up with exact needs of Waterproofing as demanded by the clients. 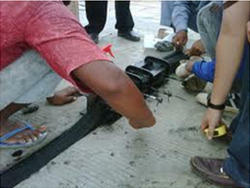 Our expertise to provide in them brilliant strength as well as elasticity also makes it perfect. 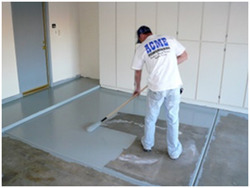 We also includes of Floor Coating, Anti Skid Flooring and Polyurethane Flooring. 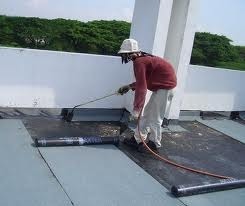 We are also provides waterproofing services for following parts. Terrace Gardens. Anti-corrosion refers to the protection of metal surfaces from corroding in high-risk (corrosive) environments. When metallic materials are put into corrosive environments, they tend to have chemical reactions with the air and/or water. The effects of corrosion become evident on the surfaces of these materials. For example, after putting the iron into a corrosive atmosphere for an extended period, the iron starts rusting due to oxygen interaction with water on the iron's surface. Therefore, metal equipment lacking any preventive (anti-corrosive) measures, may become rusted both inside and out, depending upon atmospheric conditions and how much of that equipment is exposed to the air. There are a number of methods for preventing corrosion, especially in marine applications. Anti-corrosion measures are of particular importance in environments where high humidity, mist, and salt are factors. 4. Painting treatments on the surface: Another way to protect metal housings from corrosion is by using anti-corrosive paint or powder coat on the metallic surface. The function of this coating is to act as a barrier that inhibits contact between chemical compounds or corrosive materials with the metal housing. The most important thing to say about any structural repair is that it is utterly imperative that professionals are involved. 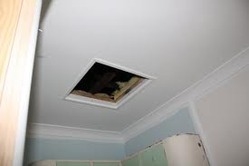 At Wise Property Care, we are one of only a handful of specialists with structural repair expertise and damp proofing techniques offering you a full range of structural repairs and waterproofing solutions that are cost effective and non intrusive such as our crack injection. The modern composition of paints results in latex formulations, water-soluble paints derived from petroleum or polymer components, being widely used for exterior as well as interior. That reduces post painting cleanup, and reduces the smells associated with oil-based paints, which may be composed of either natural, traditional oils or modern, synthetic ones. Computerized paint scanners formulate new paints to match the often faded color of existing paints. Many chain stores offer color matching service. Modern paints are available in various specialized formulations that can be fade resistant, chip resistant, odor-free, antibiotic to resist mould and fungi growth, etc. GM Group Enterprises is a team of Civil Engineers, Architect and Interior Designers, rendering services for commercial interiors, office interiors, residential interiors, consultant projects and restoration and maintenance works.